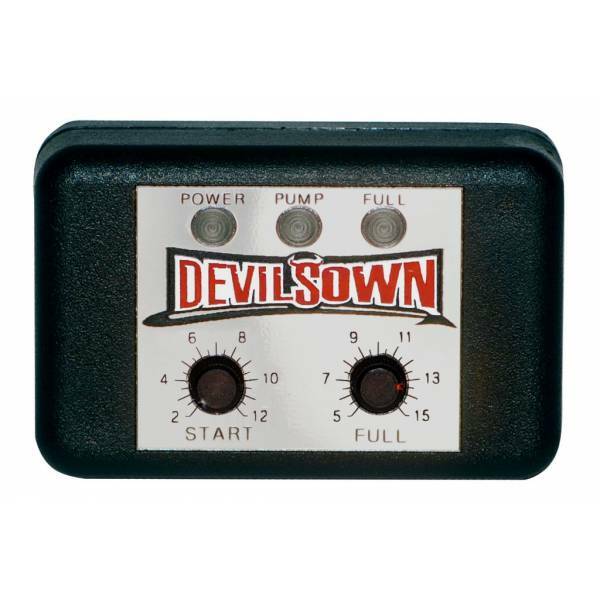 The Progressive Controller from DevilsOwn is by far the latest technology this company has made thus far. This controller just so happens to be light weight and easy to install. The Progressive Controller from DevilsOwn is our company’s latest and greatest technology thus far. It’s lightweight, easy to install, and designed to give your vehicle an increased pressure with a users’ adjustable range. • Unit will read dial settings and calculate the slope of the progressive control. • It will ramp up to 100% as boost approaches FULL setting. • The pump voltage percentage will increase with a 0.2 pound increase in boost. This means the voltage will step up 5 times over an increase of 1 PSI making a very linear response curve. For ease of adjustment, each dial has 21 settings that are incremental. There is a setting for every hash mark and another setting in-between, each having the arrow close to a setting that will provide the exact setting. If the FULL setting is set to a lower PSI than the START setting, the start setting will be ignored. The pump will then switch on to 100% when PSI is above FULL setting. It will then switch off when it is below the FULL setting. In order to prevent loading down the MAP sensor signal, the voltage input to the controller is left floating. This means that tapping into the stock MAP sensor that is connected to your cars computer will not affect the MAP voltage. However, if the MAP input wire (green) is left disconnected, sampled voltage will be erratic and therefore pump output voltage will be erratic. RED - power LED - It will be illuminated anytime there is power applied to the pink wire and the black wire is grounded. On power up the unit will blink the yellow LED indicating what BAR setting the unit is setup for. It will come on solid in normal operation when the output voltage to pump is at 100%. This prevents the light from fluttering if the boost is hovering around FULL. It will blink a steady rate when the unit is faulted to let you know if something is wrong.